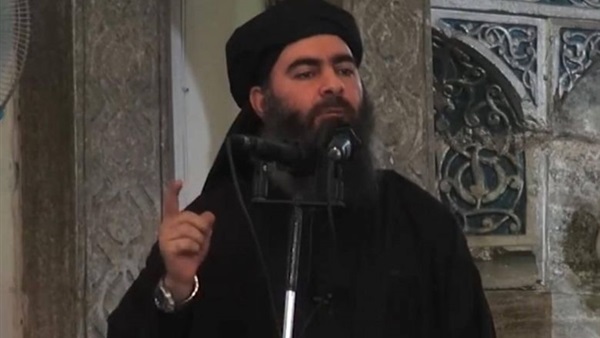 The Reference: As 'caliphate' ends, where is ISIS leader Abu Bakr al-Baghdadi? As 'caliphate' ends, where is ISIS leader Abu Bakr al-Baghdadi? The world's most wanted man who has so far eluded capture, Islamic State in Iraq and Syria (ISIS) group chief Abu Bakr al-Baghdadi has seen his "caliphate" crumble and its last shred of territory in Syria evaporate on Saturday (March 23). After declaring himself caliph in 2014, Baghdadi held sway over seven million people across swathes of Syria and Iraq, where ISIS implemented its brutal version of Islamic law. Reclusive even when ISIS was at the peak of its power, the 47-year-old Iraqi, who suffers from diabetes, has been rumoured to have been wounded or killed several times in the past. And his whereabouts have never been confirmed. So, with his proto-state gone and a US$25 million (S$33.82 million) US bounty on his head, where is Baghdadi? "He only has three companions: his older brother Jumaa, his driver and bodyguard Abdullatif al-Jubury, whom he has known since childhood, and his courier Saud al-Kurdi," said Mr Hisham al-Hashemi, an Iraqi specialist in ISIS. Mr Hashemi said the quartet is likely laying low somewhere in Syria's vast Badia desert, which stretches from the eastern border with Iraq to the sweeping province of Homs. His last voice recording to his supporters was released in August, eight months after Iraq announced it had defeated ISIS and as US-backed forces closed in next door in Syria. But as the Kurdish-led Syrian Democratic Forces pressed the "final battle" against ISIS's last sliver of territory, a spokesman for the US-backed group said the elusive leader was likely not there. But some of those who fled Baghuz in the dying days of the caliphate, claimed they had been ordered to leave by Baghdadi. "Had the caliph not ordered it, we would not have left," one woman told AFP in late February, referring to Baghdadi, who was not believed to have been among the extremists in their last holdout. Keeping a low profile - in contrast to slain Al-Qaeda leader Osama bin Laden - has helped Baghdadi survive for years. "He had a vision, early on, of where he wanted to go and what kind of organisation he wanted to create," said Ms Sofia Amara, author of a 2017 documentary that unveiled exclusive documents on Baghdadi. When he was arrested and held in a US detention facility in southern Iraq in February 2004, he was still very much a second- or third-tier Islamist. But it was Camp Bucca - later dubbed "the University of Jihad" - where Baghdadi came of age as a terrorist. "People there realised that this nobody, this shy guy was an astute strategist," Ms Amara said. In the following years, Baghdadi's ISIS group captured swathes of territory, set up a brutal system of government, and inspired thousands to join the "caliphate" from abroad. Years later, his Islamist group incorporated ex-Baathists, capitalising on the bitterness many officers felt after the American move to dissolve the Iraqi army in 2003. That gave his leadership the military legitimacy he personally lacked and formed a solid backbone of what was to become ISIS, combining extreme religious propaganda with ferocious guerrilla efficiency.